Shopping online is quite different than in-store. Online we have unlimited choice and the ability to find the best price possible. In-store we are subject to what’s in stock and the prices there. But convergence is upon us. Go to a store, find the product you want, grab your web-enabled device and search. Okay it hasn’t been perfected yet. Not quite that simple. Recently the future just got one step closer with the release of an iPhone app Checkout SmartShop, "a shopping assistant meant to help you find online and local prices when you’re out and about shopping." 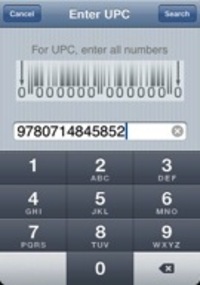 For now, you still need to type in the UPS code; they are working on converting the iPhone camera into a barcode scanner. Retailers are you listening? Converging experiences are happening. Mobile web browsers are more than a trend. If you are not going to win the price battle start creating loyalty and value. Or get a cell phone jammer for your store.